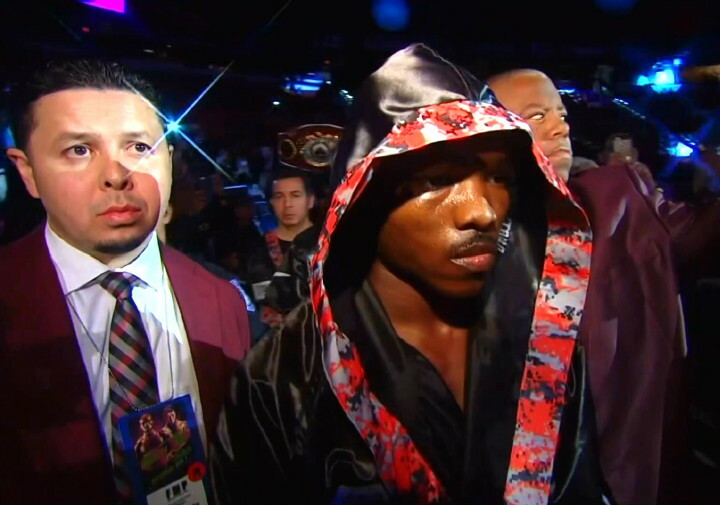 By Jeff Aranow: Former two division world champion Tim Bradley made his retirement from boxing official on Saturday in a statement letting fans know that he’s hanging up his gloves after 13 years as a pro. Bradley hasn’t seen the inside of ring for over a year since his 12 round unanimous loss to Manny Pacquiao in fight No.3 on April 9, 2016. The 34-year-old Bradley wasn’t competitive in losing to Pacquiao by the scores 116-110, 116-110 and 116-110. This was a predictable move for Bradley after his defeat to Pacquiao last year. That was Bradley’s biggest money opponent. The loss for Bradley closed the door on the rivalry. Fans will need to wait and see if Bradley’s retirement from boxing is final or just a vacation. Nowadays, fighters frequently make a comeback after a brief period. In Bradley’s case, he was still fighting at a prominent level last year in his last fight. There’s no real reason for someone fighting at the level Bradley is to retire permanently. He showed in his one-sided win over Jessie Vargas in June of 2015 that he still had a lot in the tank. “There always comes a point in life where we have to make choices that no matter how much we know the right option, it still leaves us filled with mixed emotions,” said Bradley via Fight news. “I have spent the past couple days trying to find the right words to describe this point in my life and no matter how long I sit and reflect, I still don’t know if these words can do my thoughts justice, but I’m going to do my best to open up my heart and share with all of you during this pivotal time,” said Bradley. What could be difficult for Bradley in continuing his career is his purses dropping off now that Pacquiao is about to retire. Bradley was well paid in his 3 fights against Pacquiao. Unfortunately, Top Rank likely doesn’t have anyone else in their stable right now that Bradley can fight for the kind of money he was getting in his fights against Pacquiao. There’s no big money guy for Top Rank to match Bradley against other than Jeff Horn, a fighter that is co-promoted by Top Rank. Bradley is at a point where the welterweight division has improved a lot since the days when he held a world title at 147. Even if Bradley’s promoters at Top Rank were willing and able to match him against fighters outside of their Top Rank stable like Danny Garcia, Keith Thurman or Errol Spence Jr., he probably wouldn’t have done well against those guys. They’re bigger, younger, and more suited to the welterweight division. Bradley was at his best at light welterweight. He moved up in weight to the 147 lb. division in June 2012 to face Manny Pacquiao for the first time, and surprisingly he beat him. However, I was a controversial win for Bradley against a fighter that was arguably a pumped up lightweight n Pacquiao. Bradley really struggled at welterweight, even in the fights he won. The fights at 147 were grueling affairs. Out of the 9 fights Bradley had at welterweight, he only fought 2 fighters that were true 147 lb. fighters in Luis Abregu and Diego Chavez. The rest of Bradley’s fights at 147 were against Pacquiao [x 3], Jessie Vargas, Ruslan Provodnikov, Brandon Rios and Juan Manuel Marquez. If Bradley had continued to fight, he likely would have had a chance to fight WBO welterweight champion Jeff Horn and gotten a big payday against. Bradley still had at least one last payday. Other than Horn though, Bradley’s options weren’t so good. Bradley couldn’t fight Pacquiao again because the fans have already seen them fight 3 times, and there’s no longer any interest in the two of them facing each other in rematches. A rematch for Bradley against Jessie Vargas wouldn’t have been a big fight. Vargas hasn’t fought since he lost to Pacquiao last November. It’s too bad that Bradley never got a chance to fight big names like Floyd Mayweather Jr., Saul Canelo Alvarez, Shane Mosley, Gennady Golovkin, Keith Thurman, Amir Khan, Adrien Broner, Kell Brook, Shawn Porter and Errol Spence Jr. Those would have been interesting fights for Bradley. When Bradley signed on with Top Rank in 2011, it put him out reach for fights against those guys. It put Bradley instead against fighters in the Top Rank orbit, which is why he kept getting matched against Pacquiao. But at the same time, it enabled Bradley to get 3 big paydays against Pacquiao with the first 2 fights coming when the Filipino fighter was still popular. The last time they fought, it was clear that Pacquiao was not the popular guy that he once was. “And to you, the diehard fans, man, it’s been one heck of a ride,” said Bradley. ”The bumps, the bruises, the peaks, the valleys, the days I didn’t want to get out of bed and the nights I couldn’t sleep….So many occasions where my heart, mind and soul were tested but with every challenge there was hope and there was all of you…giving me the courage to fight another day and do what I loved to do. I can never find the words to convey how much I appreciate all of you and how truly humbled I am by the unconditional support the past 23 years, Thank you. Thank you for cheering me on when I didn’t deserve it, loving me most when I needed it and for being my heartbeat to keep going day after day. I am the man I am today because of you all,” said Bradley. It would be interesting to know if Bradley is retiring because he feels he has nothing left to give or if he’s retiring due to the lack of available options. Like I said, I think Bradley could potentially get a fight against WBO welterweight champion Jeff Horn if he gets past Pacquiao in their rematch. Even if Horn loses to Pacquiao, I still think Horn would be an option for Bradley to fight. Just by Bradley and Horn being with the same promoter at Top Rank, it would have given Bradley a chance to fight him.